We can design a wide variety of private gastronomical itineraries for those with special interests. Depending on your interests, we can arrange such experiences as a private cooking class with a chef, a meal at a historic restaurant annotated by a culinary expert, or a champagne tasting at a local cellar. The potential for custom itineraries is practically boundless. Led by a culinary expert, food journalist, chef, or sommelier, you may tailor Paris' culinary landscape to your specifications and palate. Which sites would you like to prioritize? Would you like tastings included? We ask that you spend some time perusing our culinary offerings of private and small-group tours before making a request for a customized walk. For instance, we offer a Paris Wine Tour and Tasting, Paris Food Tour, Paris Chocolate Tour, Paris Market Tour, and Modern Paris Food Tour. While Europe owes its chocolate connections to the Spanish conquistadors, France has certainly made this sweet treat its own. First introduced to France in 1615 at the wedding of Louis XIII and Anna of Austria, and later popularized by Louis XIV at Versailles, chocolate quickly became all the rage. It's really no surprise that Paris is now home to some of the world's best chocolate makers. With so many options, our culinary guide to Paris—a chef or food writer—will carefully curate the best and weave them together into a revealing, 2.5-hour chocolate tour that explains how Paris came to be at the center of the chocolate world, and why that matters. Truffles, pralines, ganache...What's the difference? Our walk, beginning in Saint-Germain-des-Prés, will answer these questions and more, delving into the sweet world of chocolate in Paris. Visiting several chocolate shops, we'll indulge our sweet tooth, and maybe even stop to admire the whimsically detailed chocolate sculptures at a classic chocolaterie. Tasting their wares, we'll discuss the process behind the transformation from cocoa bean to the various chocolate delicacies sold in shops today, and maybe touch on chocolate's transformation from luxury good to affordable treat. We'll go on to discuss the rich dessert history associated with Paris and, more importantly, the evolution of the celebrated Parisian treat, the macaron. Stopping at a variety of these confectionery shops, we will compare and contrast the flavors, products, and techniques used. We may visit a top boutique to sample their flavorful take on the macaron, or try the colorful array of chocolates, macarons, and petit-fours beckoning from behind the glass cases at a family-owned boulangerie. From marvelous meringue and tartes to rich pure chocolate, this walk will tantalize every one of your senses. Led by one of Context's professional gastronomes—a chef or food journalist, our chocolate walk varies depending on their personal favorite places to indulge, giving you a local guide to Paris' sweet scene. This edible adventure through an upscale and iconic Left Bank neighborhood will enhance your appreciation for this sweet treat, as well as open your eyes to the complex science involved in the chocolate-making process. Our docent will also be available to facilitate transactions and individual purchases for guests. If you are interested in further indulging your palate in Paris, we recommend our Paris Food Tour or Paris Wine Tour and Tasting. Combine your love of chocolate and cakes with your passion for Paris! The Paris Chocolate and Pastry Food Tour combines French gourmet specialties with a morning or afternoon walking tour so you won't need to feel too guilty. Delight in this tasty mix of desserts, history, and culture as you discover flavor of the neighborhood. Numbers are limited to a maximum of 8 people on this small group tour, ensuring you'll receive personalized attention from your guide. Your tour is led by an expert food and culture connoisseur, who will take you through the Paris neighborhood of your choosing visit a selection of pastry shops, bakeries and chocolate shops. The commentary from your expert foodie guide includes an overview of French culinary habits, a description of any seasonal events taking place at the time of your tour and an introduction to selected specialties in the main shops. Your guide will discuss how these specialities are produced, how to choose the best chocolates and pastries, and how to prepare your own treats. You'll also learn about the local culture and history as you explore the streets of the area in between shops. You are encouraged to interact with your guide and ask all the questions you like as you are introduced to the French culture and the fine art of chocolate making and pastry baking. There's no need to consider calories when you combine gourmet French food with a three-hour walking tour! Your small group tour is led by an expert food connoisseur, who will take you through a number of Paris neighbourhoods to visit a French bakery, pastry shop, French caterer, wine shop, cheese shop, fruit and vegetable shop and market. Your gourmet walking tour of Paris begins at either a specialty cheese shop on Boulevard Saint-Germain on the Left Bank or in a specialist pastry shop in Montmartre (depending on tour option selected). Numbers on this gourmet walking tour are restricted to a maximum of eight, ensuring you'll receive individual attention from your expert gastronomic guide. The number of stops you make could be expanded according to the seasonal availability of produce and your group's preferences. The commentary from your expert foodie guide includes an overview of French culinary habits, a description of any seasonal events taking place at the time of your tour and an introduction to selected specialties in the shops. Your guide will discuss how these specialties are produced, how to choose and store the produce, and how to prepare your own gourmet recipes. You are encouraged to interact with your guide and ask as many questions as you like. Few things exude Christmas spirit better than festive food, and where better to sample seasonal specialties than in Paris? Discover the undisputed capital of gourmet food in the run-up to Christmas on this intimate small-group walking tour, limited to eight people. Enjoy samples galore and shop til you drop at one of Paris enchanting Christmas Markets, and explore specialty food stores with your expert guide. Your gourmet Christmas tour of Paris starts in the heart of Saint-Germain des Prés, at the Place Saint-Sulpice. From there you will visit one of Paris' Christmas Markets which include authentic wooden stalls decked in twinkling lights to help put you in a festive mood. Focusing on the gourmet foods available at the market, you'll sample regional specialties as you stroll around with your expert guide. Sip on hot spiced wine (vin chaud), and try beautiful Christmas cakes, gingerbread cookies and other seasonal delicacies on sale in a Parisian Christmas market. Your small-group tour will continue to some famous Paris food stores, where you will enjoy samples of chocolate and traditional French sweets. Learn about the Thirteen Desserts of Christmas, a Christian tradition that originated in the south of France, whereby 13 desserts are eaten after a Christmas meal. The 13 desserts symbolize the 12 apostles and Christ, and while you won't have chance to sample all of them, you'll try a few of the best  including candied fruits, nougat and gingerbread. Your gourmet Christmas tour ends in a typical Parisian tearoom, where you can relax with a hot beverage while your guide regales you with tales of festive French traditions. This tour is suited for 4 adults but can be booked for one. We will then have lunch near Lisieux in a charming restaurant by the apple trees and surrounded by cows and horses. Then after some good cider and calvados tasting let's visit some cheese producers near Lisieux, who will be very happy to show you how the Pont Lévèque and Camembert are made. Then let's go visit a Calvados maker near Cormeilles and learn the techniques and differences in all kinds of Calvados. Then head off to Honfleur, the impressionist village on the Normandy coast, or Trouville to taste some oysters in winter and the fresh fish just caught the night before by local fishermen. This trip is better suited if you stay overnight in Normandy. Does not include return to Paris the same day. If the best way to your heart is through your stomach, then the best way to discover the heart of Paris is through its food. This delicious 3-hour small-group foodie odyssey through a picturesque local neighborhood will open your senses to a whole new world of French culture. Its packed with inspiring locales and tastings along the way, with a personable expert to demystify each mouthwatering product. Fruit, charcuterie, bread and pastriesits all there waiting to tantalize your taste buds. After strolling along the picturesque Canal Saint-Martin, your foodie fantasy concludes in a wine & cheese bar for a magnificent pairing. Your small-group food tour will begin with a tasting in a hidden indoor market where the freshest local produce, wine, and regional specialties are artfully displayed from one stall to the next. You might even make a new friend or two as you meet the passionate food merchants that make up this trendy market scene! Youll continue for a tasting of cured meats selected by passionate professionals who are revolutionizing and revitalizing the regional flavor combos of France. You can even take your treats outdoors to savor along the banks of the canal if weather permits. Wine merchants, organic vegetable stalls, and other specialty shops will be included, with flavorful sips and nibbles along the way. As you make your way to the canal youll stop inside a revered bakery, where you'll be offered a selection of the most mouth-watering bread and baked goods around. Your guide will give you a thorough overview of what makes the neighborhood tick as you scope out the latest new restaurants to hit the scene. Youll partake in a picturesque meandering across the footbridges of the canal as you gear up for the tours grand finale: a copious wine and cheese pairing. French food, cest si bon! From tasty tapenades from the Provence to sweet macarons made by a true artisan - this private food tour has it all! Get ready for 10 tastings and memories to last a lifetime during this fun 3-hour food tour. All 10 tastings are included, bon appetit! Are you a fan of French food? Or do you just love food in general? Bring out your appetite and join your private local guide for a delicious 10 tastings tour through Paris! The best mix of typical sweet bites and savory snacks have been included just for you - avec plaisir! Meet your guide at Square Armand Trousseau to begin your food journey at the best local market in the city: Marché dAligre! Take in the hustle and the bustle of the market vendors, enjoy the smell of fresh flowers and delicious cheese and taste different types of tapenade from the Provence. Next to the market, youll find le Baron Rouge; a bar all Parisians love and stop by for delicious fresh oysters. Join the locals and have some of your own! Continue your way through the Aligre district which is known for its amazing food scene and beautiful streets. Along the route, youll visit one of the oldest Boulangeries of the city, a beautiful French wine store as well as an authentic Crêperie. Feel like a true Parisian as you munch on tasty macarons, have a sip of great French wine and taste the best Rillette of your lifetime! Can it get any better than that? Welcome to Paris; the Michelin Star Capital of the world! What better place to enjoy some delicious haute cuisine? Visit the Michelin Starred restaurants of not one, but three different star-chefs during this unique private gourmet experience! Get ready for a private Parisian gastronomy experience like no other! Enjoy divine dishes at not just one, but 3 different Michelin Star Restaurants during this unique Withlocals Originals tour. The top of the French haute cuisine, all combined in one culinary route just for you! Youll enjoy top-notch culinary creations at the most beautiful locations to wine and dine in Paris. Your first stop will be at Benoit, the French bistro-style restaurant run by the amazing chef Alain Ducasse, the holder for 21 Michelin stars. Enjoy a signature dish paired with French wine just for you, feeling like a true Parisian in the classy design of the bistro. Continue for your next magnifique dish at the beautiful Les Fables de la Fontaine, where Michelin Star Chef Julia Sedefjian rules the kitchen. She does this at an age of just 21 years young, making her the youngest Michelin star chef in the world! Have a stop at the Tour Eiffel just before you continue to your final two courses at Le Violon dIngres, owned by world-renowned star chef Christian Constant. This private tour is lead by local guides who all understand and appreciate exclusive French cuisine. Let them guide you from one special dining location to another while they share insights about the French food culture and personal fun anecdotes with you. Youll discover much more than the fabulous tastes of Michelin starred recipes while wandering the picturesque streets with a local! Any specific food preferences can always be taken into account - the tour can be 100% tailored around your tastes and wishes. Just let your host know about any special requests! This is the plan: we are meeting in front of Hôtel de Ville, we get to know each other and then we start our tasty journey. First stop, Benoit Paris: start your Michelin experience with the Chef's signature dish paired with wine in a cosy French bistro-style restaurant. Then we move to Les Fables de La Fontaine - let yourself surprised by the Chef's choice in the chic restaurant led by the youngest female chef in the world. After a short walk to have the best view of Le Tour Eiffel, we go to the final stop, Le Violon dIngres - enjoy both a main dish and a dessert in world's renowned Chef Christian Constant restaurant! Take a 3-hour morning walking tour of Marché d'Aligre with a guide to get the inside scoop about this Parisian market in the 12th arrondissement. Visit some of the best food stalls, and feel like a local as you chat with shopkeepers. You have the chance to taste cheese, cured meats, and chocolate, plus learn about wine and receive some secret tips about French cuisine. This tour is limited to 10 people to provide a small-group experience. Your tour of the most distinguished and picturesque market in ParisMarché d'Aligrebegins as you meet your guide at a location nearby. A stone's throw from Opéra Bastille, Aligre Market sits in the 12th arrondissement on the Rive Droite (Right Bank) of Paris. Every morning (except Mondays), its stallholders welcome you right on the streets of Aligre Square. With your guide, see how the market is actually two markets with two charming atmospheresunder the covered market Beauvau, around the old fountain, you'll find a French and Italian delicatessen, fresh fish, poultry, dairy, and cut flowers. In the outdoor section, discover a curious mix of shouting merchants des four saisons (fruits sellers) and antique dealers, as this is half a food market and half a flea market. Explore with your guide to see more food stalls and delis, and perhaps enjoy a wine tasting with cheese on an old wine barrel. You might mingle with locals and sip hot chocolate or hot wine during the winter, or enjoy an aperitif in the summer. However your guide introduces you to the market, you have the chance to feel like a local by chatting with shopkeepers and tasting local cheeses, cured meats, and chocolate. Learn about the history of this very special market, and, of course, sample fresh food from the stalls. Enjoy a French food and wine pairing experience in a relaxed setting. Sit back, be entertained, and enjoy 5 tasting plates paired with 5 wines with the chef and sommelier as your guides. You will enjoy 4 hours with fellow food lovers in this class of up to 10 participants. A chance to engage with your chef and sommelier as well as fellow travelers. Your evening begins at 6pm near the corner of Rue Baudelique and Rue Ordener in Paris. This night includes a seat at the Chef's Table with a resident sommelier choosing 5 different wines to accompany each small dish that will be prepared right before your eyes by your chef. Both will help you unlock the secrets of food and wine pairing as an introduction to French food and wine culture. This is your chance to get into the mind-set of a chef as he prepares a gourmet meal. It is also an occasion to learn the master the art of wine pairing with skills you can take home. Just sit back, relax, and observe the creativity and expertise of the chefs for this unique dining experience with delectable French dishes and wines. The chef and sommelier are here to keep you entertained while teaching you skills and easy to remember guidelines about French wine and food pairing that surely will come in handy at any of your future events. The menu is decided by the chef and is based on what is fresh and in season. While a menu is not provided ahead of time, you can indicate at time of booking if you have any dietary restrictions that the chef should be aware of when composing his menu. The event will end around 10pm. With your professional guide, explore the upscale outdoor market of Marché du Président Wilson on this 2-hour, small-group, food tour. Discover an incredible selection of products as well as exquisite architecture, while enjoying multiple delicious tastings. Your tour will conclude at the Place du Trocadéro for some of the best views of the Eiffel Tower. Meet your guide at the departure location at 10 am to begin your exploration of the Marché du Président Wilson. Nestled amid extravagant apartments, museums, and embassies, the market is widely considered to be one of the best in Paris. Your knowledgeable guide will lead you through an incredible array of vendors selling seafood, pastries, cheeses, breads, and much more. You will also stop at a delicious pastry shop nearby and enjoy a break in a stylish brasserie. During your tour you will get to have a crêpe, enjoy some coffee and fine French pastries, and finish up by taking incredible photos of the Eiffel Tower from its best viewing point, Place de Trocadéro and the Chaillot Palace, where your tour will end around noon. This small group tour from Paris will let you discover the best of Normandy during a whole day. Escape from Paris for the day and join our wine & spirits expert driver & guide in our comfortable minivan! Enjoy delicious local cheeses (Camembert, Livarot, Coulommiers, Pont-LEveque) during a visit at a cheese factory, as well as apple cider & Calvados (hard cider) during your lunch at a traditionnal distillery. You will also discover the beautiful landscapes of the Côte Fleurie (flowery coast) that inspired many impressionist painters and two emblematic cities of the region, the glamourous Deauville and the romantic Honfleur. Wine Passports tour will allow you to escape from Paris for the day and to enjoy the fresh air of one of Frances most beautiful parts! Our wine & spirits expert guide will pick you up in the morning and your hotel and will drive you safely to Normandy, while you enjoy freshly baked croissants. During the whole tour, he will provide you with fun anecdotes and information about the regions delicacies. The first visit of the day will be a cheese factory. Discover all the processes needed to create Camembert, Livarot, Pont lÊveque and taste the different cheeses! You will then visit one of the regions best cider & hard cider producers. After discovering the distillery, located in a building with an architecture typical of the region, you will have the chance to enjoy its beverages paired with local delicacies during lunch. The afternoon will be dedicated to the discovery of the Côte Fleurie (flowery coast), the regions most beautiful landscapes. You will first have a walk on the mythical beach of the city of Deauville, also called the Parisian riviera, famous for its casino and all the celebrities who come during the international movie festival. Your next and last stop will be in the city of Honfleur, where you will wander through its romantic streets and enjoy delicious Normand crêpes on its charming old harbor that you will recognize from famous impressionist paintings. Take a 3-hour gourmet food tour of France with this small-group walking tour. Sample a variety of delicious regional specialties from Paris traditional heritage food district; then enjoy a flight of French wines with a typical French lunch. Your guide will lead you to the best spots in this area: sample breads, cheeses, charcuterie, pastries, and chocolates, lovingly produced by skilled artisans from across the country. Then you'll end the tour in an award-winning wine bar, where the local produce and fare will be paired with a flight of leading wines, for an authentic and delicious French lunch. The maximum group size for this tour is 12 people. Meet your guide and small group at the Etienne Marcel metro station in Paris, where you'll begin your tour of the best of French regional gastronomy. Start in a local bakery, in typical French style, with a coffee and a buttery croissant. Learn about how these specialties are made, along with traditional, organic breads. Your guide will pick up some baguettes here to enjoy later in the tour. The Les Halles quarter of Paris is traditionally known as the belly of Paris. Once home to the huge, teeming food market that fed the city each day, it remains today a mecca for food lovers, the streets lined with specialty food stores, restaurants, cafés and kitchen supplies. Join the local Parisians as they shop for their daily groceries, and take a stroll along its most animated street, the rue Montorgeuil, stopping along the way at favorite boutiques. Savor tasty artisan cheeses from across France in a traditional, local fromagerie, and delicate flavored fine chocolates from an artisan chocolatier. Then its time for a visit to the oldest (and possibly most beautiful) patisserie in Paris, founded by the baker to Queen Marie in 1730 - also the inventor of the Baba au rhum. Winners of several awards, including Best Chocolate Eclair, choose your favorite pastries to be savored later over lunch. The last stop is a beautifully restored epicerie, where you'll try traditional delicacies from the South West of France. Your expert guide will also point out a centuries-old oyster house (the oysters were originally rushed to Paris by horse), as well as will highlight traditional butchers, fishmongers, and grocers as you wander along this fascinating street. For the cooks among you, particularly pastry lovers, dont miss the wonderful suppliers of kitchenware and ingredients, including one of the oldest supply stores in Paris. The tour ends at an award winning wine bar, where the days' discoveries collected will be paired with a flight of top-class French wines, served by a sommelier. Sample wines from three different regions, and discover and how to pair each wine with your food. Your gourmet tour concludes with a typical picnic-style lunch with wine. Discover the Paris of your dreams - along with the food of your dreams too- on this 2-hour walking tour of Rue Montorgueil. Follow your guide through the bustling pedestrian area and breathe in tantalizing aromas as you step into traditional bakeries, butcher's shops, fishmongers, florists and cheese and delicatessen shops. Alongside local Parisians, sample 10 iconic foods, and drinks, selected for this tour. Admire the Tower of John the Fearless (Tour Jean sans Peur) and paintings by Rubens, and enjoy personal attention from your guide on this small-group tour, limited to 12 people. Meet your guide in central Paris and set off toward Rue Montorgueil, a pedestrianized shopping street lined with quintessentially Parisian bakeries, butchers, cobblers, cafés, cheese- and fishmongers, florists and grocers. Soak up the bustling atmosphere as you rub shoulders with the locals and sample baguettes from two different bakeries. Learn, too, the artistry behind the creation of a perfect French loaf. Marvel at paintings by Rubens and sculptures by Coysevox, a 17th-century French artist; admire the 8,000 pipes of Paris' largest organ; gaze up at the Tower of John the Fearless; and indulge in a little window shopping along the way. Your tour then concludes by St-Eustache church (Église St-Eustache), across from Les Halles, one of Europes busiest shopping centers. Before bidding your guide farewell, perhaps ask for tips on where to shop in Les Halles, or head to a local café to watch the world go by. Feel like a local on this delicious food walking tour of Paris’ bustling Marché d’Aligre market located in the less touristy 12th district. Follow your guide to the best finds in this popular market, including tasty cheese and chocolate shops and a seeds shop that’s been in business since the 19th century. Chat with the shopkeepers and indulge in a variety of cheese, chocolate and wine tastings on this fun morning tour. This small-group tour is limited to eight people for a more intimate, relaxed experience. Meet your guide at 10am in central Paris and walk through the lovely 12th district, often overlooked by tourists but popular with Parisians. Your local guide will lead you to the Marché d'Aligre, a lively indoor/outdoor market selling everything from old gramophones to pieces of crockery to artisan jams. With the help of your local guide, discover wonderful gourmet shops at the Marché d'Aligre where you can talk with the vendors about their passions and ask all the questions you like. Visit several cheese and chocolate shops and La Graineterie, a seeds shop that opened in 1895 and today sells specialty flours, spices, teas and classic candies along with seeds. Enjoy tastings of cheese, wine and chocolate, all of which are included in the price of your tour. At the end of your 2-hour food walking tour, your guide will be happy to give you recommendations for further exploration so you can continue to wander the Marché d'Aligre on your own, seeking out tasty treats alongside the locals. Spend a full day tasting Paris gourmet delights on this small-group walking tour. Starting near the Bastille and ending in St-Germain-des-Prés, experience Paris food and wine scene like a local as you explore the Marché d'Aligre street market, have lunch at a typical Parisian café, taste the citys best chocolates and macarons, sip afternoon tea or coffee, and end with a wine-tasting session with a knowledgeable sommelier at Paris Cave. Lunch and all tastings are included. Numbers are limited to eight people on this small-group tour, ensuring a more personalized Paris food tour. Meet your guide near the Ledru-Rollin metro station in the 12th arrondissement in the late morning. Starting in the Bastille area and ending in St-Germain-des-Prés, this full-day food expedition lets you enjoy the best of central Paris culinary delights, so come hungry! Feel like a Parisian as you take a guided stroll through the Marché d'Aligre, stopping to taste wine and cheese. After teasing your palate, head to a typical Parisian café for a lunch of seasonal French cuisine with wine. Enjoy the plat du jour (daily special), or opt for a chèvre chaud (warm goat's cheese), magret de canard (duck breast) or Niçoise salad. Then follow your guide to the area of St-Germain-des-Prés, where youll satisfy your sweet tooth with tastings at three of Paris most famous chocolate and macaron makers, such as Chocolats Richart, Pierre Marcolini, Debauve et Gallais and Patrick Roger. Take an afternoon break at a typical salon de thé (tea room) to rejuvenate with a coffee, tea or hot chocolate, accompanied with a delectable French pastry. Enjoy a perfect finish to your tour with a visit to Paris Cave wine cellar (cave à vin), where you're invited to unwind with a wine tasting. Your sommelier will teach you about the major wine regions in France and reveal the interesting details that make French wines unique. Learn fun and useful tasting tips as you try four different wines paired with charcuterie (cured meats). Your full-day Paris food tour ends here in the evening. Gain insight into the local food, culture, history and daily life of Paris' Bastille district on this 3-hour walking tour. Veer off the tourist trail with a knowledgeable guide to discover the elevated tree-lined walkway of the Promenade Plantée and the Viaduc des Arts  predecessor to The High Line in New York City. Pop into gourmet shops, wander around buzzing food markets and learn about the bold architecture and French Revolution history for which the Bastille area is famous. Your tour size limited to eight people to ensure a more personalized experience. Your 3-hour Bastille walking tour starts near the Opéra Bastille in Paris' 11th arrondissement. After meeting your guide, start with an overview of the area, which is named for its centerpiece, Place de la Bastille  the site of the Storming of the Bastille during the French Revolution in the late 18th century. Today it's a busy, animated neighborhood with a fascinating story, known for its hip bars and clubs, trendy restaurants and authentic outdoor food and flea markets. Follow your guide to the Port de l'Arsenal  the basin linking the Canal St-Martin to the famous Seine River  and hear of the role this ancient waterway played during the Revolution. Poke your head into gourmet shops on Rue d'Aligre and continue along ancient Rue de la Roquette, where you'll stop by an indoor food market and discover the delightful chocolate shop of famous chocolatier Alain Ducasse, called La Manufacture de Chocolat Alain Ducasse. Continue to the bold archways of the Viaduc des Arts, an urban renewal of an old train line. Climb to the top of the viaduct to walk down the Promenade Plantée, a tree-lined walkway studded with shops and art galleries, which inspired the famous High Line in Manhattan. 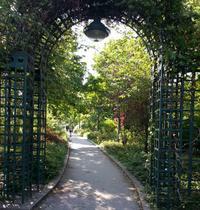 This enchanting stroll is sure to be the highlight of your tour. Stop at some eateries on the way to sample traditional French fare; three food tastings and one drink per person are included. Finish your walking tour amidst the fresh produce, fine wines, fresh artisan breads and luscious cheeses of the Bastilles traditional food markets, including the popular Marché d'Aligre. Marvel at the quality and range of the diverse regional products on display, and soak up the atmosphere of this vibrant and inviting part of town. After three hours exploring the Bastille area, your tour concludes near Gare de Lyon. Envelop yourself in Paris' festive Christmas flair on this 3-hour walking tour of the French capital. Marvel at the lavish holiday decorations of Galeries Lafayette, admire seasonal window displays throughout Paris' Art Nouveau shopping district, soak up rooftop views over the city, and browse Christmas shops for local treats and souvenirs. French Christmas traditions revolve around food, so you'll enjoy tastings of Parisian treats such as foie gras, oysters and macarons with Champagne. Your tour size is limited to eight to ensure personalized attention from your guide. A city for all seasons, Paris holds new surprises around every corner year-round, but theres a certain je ne sais quoi about the French capital at Christmas that makes it extra special. Start soaking up Paris' Christmas charm at the famous Galeries Lafayette, where your guide will meet you in the morning for a 3-hour tour. Enter the beautifully illuminated department store, bustling with Christmas shoppers, and admire its opulent interior perfectly appointed with elegant Christmas décor. Inside, head to a food hall to enjoy some oysters with white wine  a typical French pairing  followed by a sweet treat such as macarons or an éclair. Browse the shop's selection of cheeses, caviar, foie gras, chocolates, gingerbread and more, and purchase anything you please. Breathe in the crisp winter air as you hit the streets, strolling past festively decorated, Art Nouveau facades of Paris high-end shops and boutiques. Follow your guide up to a rooftop viewing deck for breathtaking views over the city. Back on street level, head to a Christmas decoration shop to browse trinkets and souvenirs for friends and family back home. Venturing through the 8th arrondissement, pause at La Madeleine to learn about the history of this famous Roman Catholic church, built in honor of Napoleons army. Continue down winding streets and passageways lined with shop windows decked out in festive finery. Poke in and out of quaint food and tableware shops for which the area is known, and on Passage Vivienne, duck inside a traditional wine bar to enjoy a tasting session of fine foie gras with Champagne or dessert wine. You'll feel like a true Parisian! 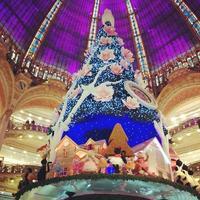 After three hours admiring Paris' Christmas ambiance, end your tour near the Louvre. Your local Parisian guide will take you to a patisserie to enjoy some traditional French delicacies before a visit to a "fromage" shop to sample some favorite cheeses. Your personal guide will then lead your party to a classic chocolaterie where you will have the chance to eat mouthwatering chocolates. Your tour will include a stop at a boulangerie where you can sample classic French breads and baguettes and learn why you should never eat a baguette the wrong way around. You will also drop into a creperie for a delicious crepe or galette. Your tour even includes a visit to a butcher shop, complete with a tasting of succulent French hams and cured sausages. Finally, your guide will pick out the perfect wine chosen to match your food and taste to enhance the entire experience. You will also enjoy a delicious secret dish along the way. Montmartre is the perfect district for Paris food tours because of the area's flourishing restaurant scene, historical culture and charming ambiance. In the past, windmills, farming areas and art studios were prominent features of the Montmartre landscape. Now the area boasts an abundance of first-class wine bars, fine dining restaurants and rare shops, all adding to its appeal as one of the best and most unique food destinations in the world. In Le Marais, you will feel a specific atmosphere and enjoy the beauty of the medieval Paris. On your Food Tour in Paris, you will get to try many different types of French culinary delights, guaranteed to get your taste buds tingling. Your local Parisian guide will take you to a boulangerie, where you can sample and learn about classic French breads and baguettes. Then visit of the oldest covered market in Paris to try some French cheeses and white wine. You will also drop into a typical Brasserie for the delicious flavour sensation of eating a croque Monsieur or a french pie. When you come on your "Le Marais" Food Tour in Paris, you will get to try many different types of French culinary delights, guaranteed to get your taste buds tingling. First, your local Parisian guide will take you to a typical french Brasserie to enjoy some traditional French croissant and a coffee. Your tour will include a stop at a boulangerie where you can sample and learn about classic French breads and baguettes (and why you should never eat a baguette the wrong way around)! This will be followed by a visit of the oldest cover market in Paris to try some french cheeses and white wine. You will also drop into a typical Brasserie for the delicious flavor sensation of eating a croque Monsieur or a french pie. The tour cannot end without you tasting the best french chocolates and macarons! Oh, and of course there is a delicious Secret Dish, too! Small-group tour that will take you deep in the soul of Normandy. Try the only Camembert cheese made in Camembert village and try the hard cider Normandy has to offer. Very scenic roads, best way to experience real France. Have you ever tried real Camembert made with raw milk? You will visit the last standing farm in the village of Camembert that makes Camembert on site! Have huge samples of farm made cheeses with a glass of cider. Then you will visit a dairy where they also work with raw milk and where you can taste the difference between cheeses. Lunch iis not provided but will take place in a very beautiful village. The afternoon is focused on apple and pear brewages. Hard apple cider, hard pear cider, pommeau and calvados. Depending on producers availability, you will visit a traditional cider farm, a estate wine-process oriented cider maker. If you are not too tired by the end of the tour, a small surprise will expect you at the end. Your tour starts with hotel pickup in Paris. With your driver-guide, head to your first stop, where you'll try an authentic Camembert made with raw milk at the last-standing farm in the village of Camembert that makes the cheese on site. Enjoy hearty samples of the farm-made cheeses with a glass of local cider. Then head to a dairy that also works with raw milk, and learn how to recognize the differences between cheeses. If you select the lunch option when booking, this takes place next outside at a local village, weather permitting. Designed for those without any dietary restrictions, lunch consists of local Normandy products. In the afternoon, the focus of your tour switches to Normandy's apple and pear beverageshard apple cider, hard pear cider, pommeau, and calvados. Depending on the availability of the producers, you'll visit a traditional cider farm or an estate wine-oriented cider maker. If you are not too tired after all this, a small surprise awaits you before your tour ends with return to Paris for drop-off. Eat your way through the Eiffel Tower ! Discover the fineness of the best French food products located close to the Eiffel Tower. This self-guided tour of local gourmet goodies gives you an itinerary to follow independently through a Tasting Passport, which you'll use to explore a selection of 6 French food products to be sampled at various stores and shops owned by welcoming Parisian artisans. Discover the Eiffel Tower area in a new way, by tasting some selected French products. As you walk through the neighborhood, you can use the maps included to find your way and meet passionate local artisans. At the first stop, you receive your Tasting Passport, a little booklet which contains loads of information about the products tasted and the artisans met during the trip. The gourmet itinerary includes a wide selection of the finest French products : homemade Foie Gras from South West, Wine from a small French wineyard, a special coffee brewed in Paris, tasty traditional biscuits from Provence, a Meringue Cake from North and one of the best French chocolate cake called "Le Baulois". You can complete the tastings at your own pace : the Tasting Passport can be used over several days ! Through a carefully made selection of welcoming & english-speaking shop owners, you will be able to meet personnally some local people and discover where the locals are used to get their food. If you don't have time to visit whole France, the experience would be even better as you can taste products coming from different regions of the country ! An innovative and authentic way to enjoy Paris from a culinary perspective. Cooperating with respected partners in Normandy we created a breathtaking tour giving you all point of view of what being north french means. You will dive in a sea of traditions and take a spirit of Middle Ages. The day visit to Normandy gives you emotions which will stay unforgettable for all the rest of your life. Lead by knowledgeable guide you will get informed about the main historical events happened there. Our day trip begins within pick you up from hotels and driving to Normandy, which beauties can even impress experienced-travelers. Depending on car traffic after 2-2,5 hours of voyage you will reach one of the most unbelievable factories called Christian Drouin and producing the pride of Normandy region namely Calvados, the local high-alcohol drink made from apples. Moreover you can expect an informative one hour visit including also a tasting of 3 types of Calvados and Cider at the end. As the next stop there is a nice city on a seacoast Honfleur. Our guide put you into the storm of historical facts linked to The Second World War and especially D-Day the well-known story about a huge bravery of common soldiers. During 2 hours you have a chance to see a very old church named after Saint Catherine that might surprise you by the incredible story of its construction. Then visit the local french market offering wide assortment of products grown and made in Normandy. For the lunch, consisting of 3 plates, we have chosen a restaurant that could be proud of the authentic French cuisines and the local warm hospitality spirit. Then move to a little city, Etretat, to see stunning landscapes namely the white cliffs and three natural rockÂ archesÂ thatÂ are some of the best-known sights in Upper Normandy in France. All sightseeing takes 30 minutes. And after that you will be on your way to the gorgeous palace Fecamp where our guide let you visit it by yourself. Walking through all elegant rooms and spaces you will definitely feel like you are among members of royal families. After you have finished your little discovering you will be lead by a local touristic guide bringing you to the heart of still working factory focusing on production of liqueur called DOM with a degustation of it at the end during a hour. And in the end, when you get pleased with all these activities you will be driven directly to Paris. Where did macarons come from, and when were they invented? Why are these world-famous pastries connected to Paris, and who makes the best ones? Come walk around Paris' ancient Saint-Germain quarter with a local guide and learn the actual history behind macarons and this historical area. Visit the most famous macaron boutiques, and partake in a macaron judging event to see for yourself which macarons you like the best. Meet in front of the Abbey of Saint-Germain-des-Près. After discussing the origin and historical impact of macarons, you will follow your local guide through the ancient streets of the Saint-Germain quarter. After stopping at five macaron shops, including the oldest and newest boutiques in Paris, you will finish the tour by partaking in a judging activity. Using fun and valid categories you'll have a chance to see for yourself where the best macarons in Paris can be found. Compare with your friends, and if you want you can convert the provided special judging sheet to a picture frame to post your experience on social media. Go behind the scenes of a French bakery and learn the secrets of French breads and pastries on this delectable Paris tour. You'll tour the production rooms of an artisanal Parisian bakery and see first-hand how classic French breads and pastries are made. On this intimate small-group tour of a Paris boulangerie (bakery), you'll go behind the scenes and explore the production rooms where French pain (bread), gateaux (cakes) and patisseries (pastries) are made. Your knowledgeable bakery guide will explain how to make the famous French baguette and will demonstrate how the machines work. In a warm and relaxed atmosphere, the baker will give you plenty of bread-making tips and will tell you about the bread history. Far from a factory with industrial methods, the French bakery youll visit is a typical small and independent Parisian production unit. Your bakery guide is a skilled artisan craftsman who has a real passion for every aspect of French baking. In addition to your newly acquired baking knowledge, you'll also take home a freshly baked French baguette and a croissant! Any children on the tour will receive a complimentary pain au chocolat (chocolate croissant). Discover how a real French bakery works on a 2 hours behind-the-scenes tour in Paris. You'll learn the secrets to making baguettes, croissants, and pastries during this family-friendly experiencea unique way to enjoy breakfast in the city. Your culinary experience takes place at a bakery in Paris, where you'll arrive in the morning to start learning the art of baking authentic French specialties. Enjoy a traditional French breakfast, and then begin your tour, which is divided into three sections. Start with the preparation of the bread, then shape some croissants, and finish with the pastry chef (demonstration depends of the needs of the bakery). You'll spend about two hours at the bakery learning how to perfect a baguette, croissant, pain au chocolat, and pastries. When you're finished, you get to leave with the baguette and bread that you made. If you're interested, when you leave the bakery, there is a recommended wine and cheese shop next door, and perhaps you'd like to enjoy a picnic at Place des Vosges or in the scenic Square du Vert-Galan; you can ask your guide for directions. Join a professional cheese and wine tasting at a Paris cheese shop near the Eiffel Tower. In a relaxed atmosphere, a cheese affineur (someone who ages cheese) tells you about the many types of cheeses you will taste, and then you can enjoy the samples with some wine and bread. This is one of the best places in Paris exclusively dedicated to cheese aging, so if you're into quality food, don't miss this 1.5-hour experience. Your Paris cheese-tasting experience takes place at a cheese shop located near the Eiffel Tower and the banks of the Seine. The best quality and aging time of each cheese is carefully chosen for you by the expert staff. You'll taste about 10 cheeses from different areas of France, made with different milks and processes of maturation. What makes this tasting different from others around town is that you will be totally immersed in the atmosphere of a typical French cheese shop; the goal is to make you feel the artistic work that few cheese professionals accomplish. The cheese affineur is there to explain each sample and answer any questions you may have related to the tasting. If the shop is very busy, you might have to wait a few minutes for answers, but that is also be part of the experience of a popular Parisian culinary shop, as you can see what locals purchase and the attention they receive from the staff. On this unique panoramic bus tour, enjoy a lunch in true Parisian style while admiring top Paris attractions including the Eiffel Tower, the Louvre Museum, Notre Dame Cathedral and the Champs-Elysées. Board a glass-enclosed, double-decker bus, take a seat at your table, and take in beautiful views of Paris from every angle as you munch on fine French cuisine. Choose your preferred 4-course lunch tour option with wine, or upgrade to an all-Champagne lunch experience exclusively with Viator! Pair a gourmet meal with fantastic sightseeing on this unique panoramic bus tour in Paris. After hopping aboard a glass-enclosed, double-decker bus, your tour starts as you take a seat at your table and admire 360-degree views of the City of Light. Enjoy a 4-course lunch of fine French cuisine. As you dine, pass by beautiful landmarks including the Champs-Elysées, Notre Dame Cathedral, Musée du Louvre, and the Eiffel Tower. Your tour ends with return to the starting point. Meet your sommelier in Paris who loves to share his passion for wines with visitors coming from all over the world. He has been organising wine tasting classes and wine events for more than 6 years. You'll be seated in the charming tasting room in the heart of Latin Quarter, you will discover and taste four fine and excellent French wines that you will pair with four typical cheeses and some pieces of French baguette. The tasting room is in a small wine shop in a small cobblestoned street of Latin quarter. The V shape table has no more than 15 seats, so it's small groups only and everyone is perfectly installed to see the sceen with maps and pictures of the wine regions. Plunge yourself in stories, treasures and hidden gems of the most fascinating city in the world ! Inhabited by a passion for history, your guide gave himself years of intense research, particularly at the National Archives in Paris. He was fortunate to be able to work hand in hand with some of the greatest historians on a subject that he is deeply passionate about: the mistakes in the French and in Paris history. Ever dreamt of discovering Paris in a different and unusual way ? Enjoy some of the major monuments but also discover some hidden secret places that even Parisians do not know about. If you can, then take this tour and then let the show begin ! Let your guide plunge you into the beauty of the city and into a whirlwind of anecdotes, history, legends and intrigue. He is part of a team of dedicated history reasearchers looking to offer the honey of what Paris is all about. During the four hours you will spend together, all your senses will be in action. You will hear and learn a motley of amazing stories about Paris and ride and walk through secret doors, quiet streets and alleys. He will take you in a beautiful incredible Paris that you never ever dreamt of. For this journey, you will be using an electric bike to enjoy more grounds and really get the feeling of what Paris is like. If you are looking for a unique experience and want to do the most out of your time in Paris then look no further: this is it ! This 3-hour morning walking tour in Paris combines food, culture, architecture, and history. With a guide, enjoy breakfast like a Parisian in a district known for its food and shopping. You'll have the chance to taste French specialties such as pastries and cheese, plus purchase some stylish items, if the mood strikes. Along the way, see beautiful mansions, French gardens, cute courtyards, and more. After the tour, your guide can show you a nice place to have lunch, if you wish. Begin your morning walking tour with breakfast à la française, during which you'll savor in-store delicacies like a true Parisian. Your culinary journey starts here as your guide tells anecdotes and fascinating stories of French history. At each street corner, your guide points out many features of Parisian lifepast and presentand as your tour progresses, you'll gain insight into French culture. Stop to sample favorite food items like chocolate, pastries, cheese, and smoked meat, and perhaps do some shopping to stock up on fashionable goods (own expense). Your tour also introduces you to the fundamentals of Paris architecture as you learn Baron Haussmann and his role in creating the Paris we know today. You will never see the city the same way again after you've heard about the history of the streetscapes and squares. After your tour, your guide can accompany you to a nice place to have lunch, if you wish (own expense). The best-preserved medieval area in Paris, the heart of the Jewish community, the centre of the gay scene  the neighbourhood of Marais is as eclectic as the gastronomic treats youll try on this tour! Get ready to eat, drink, and explore your way through the citys gourmet charms! Discover the enigmatic charms of Frances capital on this guided Paris tour that pairs secret local hangouts with delicious food and wine. Youll start your Paris tour in front in front of the Notre-Dame Cathedral and then move on to the Hôtel de Ville, the citys town hall, on the square where public executions were once carried out. Learn about the horrible death of Robert-François Damiens, the infamous man who tried to assassinate King Louis XV. Next, visit Rue Saint-Croix-de-la-Bretonnerie, part of the French gay scene. Youll learn how this part of city, once sordid, became synonymous with trendy Paris, and a shopping hub for fashionistas and the core of bobo culture. While youre here, stop and sample a delicious macaron from one of Paris most famous pastry chefs. Just a street away is Rue des Rosiers, the heart of the Jewish community. Its a vibrant pedestrian street full of falafel stands and delicious Jewish-influenced delis. Well enter a fabulous chocolate store to taste a butter-filled pastry, called Kouign Amann, a specialty from Brittany. Our Paris tour will then take us back to the South Marais, where stands the longest remaining piece of the 12th-century defensive wall of Paris. After a walk through impressive Saint-Pauls church, well stop in at a local wine bar, where well get a professional wine tasting. Well sample some iconic French liqueurs like Cognac andArmagnac or Old Plum brandy. To accompany our drinks, well also taste some delicious French cheese or charcuterie treats. Continue to Paris oldest and certainly most beautiful square, la Place des Vosges, home of Frances national writer, Victor Hugo. From there, its only a short walk to your final destination, la place de la Bastille, the former prison that was captured on July 14, 1789, triggering the French Revolution. The area nearby is full of bars and restaurants, leaving you with plenty of options for carrying on with your evening in the City of Lights. Explore Le Marais, one of the most popular and historic districts in Paris, and indulge in a variety of wine and cheese tastings on this relaxed walking tour. Visit Le Marché des Enfants Rouges, a lovely market in Le Marais filled with food shops and stalls. Savor five different kinds of cheese including blue cheese, comté and goat's cheese and four small glasses of wine. This tour is the perfect way to unwind after a hectic day of sightseeing or begin a fun night out in Paris! This small-group tour is limited to eight people for a more intimate experience. Meet your guide in the heart of Le Marais, an old district of Paris with plenty of medieval architecture. As you stroll around this fashionable area, once favored by the aristocracy and today filled with trendy art galleries and restaurants, listen to commentary from your expert local guide. Work up an appetite as you make your way to Le Marché des Enfants Rouges, a small, centuries-old covered food market. Take in the sights and smells in this enclave of food stalls offering fresh produce and a variety of cuisines. Your guide will lead you to an authentic French bistro where you will sit down with your small group for your tasting session. As you discover some of France's most famous cheese and wines, your guide will help you distinguish among different flavors and provide tips on selecting ideal wine and cheese pairings. Sample five cheeses including blue cheese, comté and goat's cheese and four different wines. After your tastings, feel free to ask your guide for restaurant recommendations. Your leisurely walking tour of Le Marais and wine and cheese tasting session conclude at 6pm, leaving you the rest of the evening to discover more gastronomic delights! Since the 12th century, Montmartre has been the cradle of wine making and drinking in Paris. In this hilltop Bohemian village, drinking wine in lively cafés, cabarets and picturesque bistrots is absolutely inevitable! At a walking distance from the vineyards of Montmartre, youll follow your wine expert guide, for a unique wine and food tasting experience in some of the best bistrots of the area. How to choose your wine? What should you eat with it ? What are the best bistros of the capital for an unforgettable apéritif? The art of the real Parisian « APERO » wont be a mistery for you anymore ! Your guide is a real wine expert, seize this unique opportunity to learn what you've always wanted to know about it! Did you know that in France the apéritif is much more than a simple introduction to dinner ? Sharing some delicious wine and a generous platter of fresh cheeses with family, a bunch of friends or your lover, is absolutely unevitable ! Parisian people know it and never miss an opportunity for a festive apéro at least once a week. Paris abounds with bistros and brasseries, and all of them are real temples for good food and good wines where Parisians gather after work to enjoy a great moment together. Be one of them for one night and follow your passionate and cheerful guide across Montmartre, the most emblematic area of Paris for nightlife and romance. During this 2.5  3 hours tour, you will not only enjoy exquisite wines paired with delicious food, but youll also be immersed in the most popular and charming area of Paris, where artists, restaurants, hidden little art shops, cafés and bistros create an inimitable and unforgettable atmosphere. Youll be stunned by this hilltop village, charcterized by its cobblestone streets and its unique Parisian vineyards ! Not so surprising that the best bistros and cafés opened their doors in an area where wine and gastronomy have always been related to art and nightlife. At the crossroads between le Moulin Rouge, le Sacré Coeur and la Place du Tertre, your guide will be more than happy to take you to the hidden gems of this area, off the beaten paths, in order to share with you some funny and unexpected anecdotes about French people, Montmartre and of course, about wine! On this unique panoramic bus tour, dine in true Parisian style while admiring top Paris attractions including the Eiffel Tower, the Louvre Museum, Notre Dame Cathedral and the Champs-Elysées. Board a glass-enclosed, double-decker bus, take a seat at your table and take in beautiful views of Paris from every angle as you dine on fine French cuisine. Choose a 2-hour 4-course lunch tour or 2.5-hour 6-course dinner tour, both serving gourmet meals. Board a luxury double-decker bus near the Arc de Triomphe and set off on your afternoon or evening tour of central Paris. Your bus is designed to recreate the atmosphere of a real Parisian bistro, and its 360-degree glass enclosure affords beautiful panoramic views of the city scenery. From your table, enjoy an extraordinary sightseeing and dining experience as you drive past the Champs-Elysées, the Palais Garnier, the Louvre Museum, Notre Dame Cathedral, the iconic Eiffel Tower and other top Paris attractions. Ask your waiter for an audio guide if youd like to hear a little history of the famous sights you pass. With Paris' landmarks drifting slowly by, enjoy an elegant 4- or 6-course meal (see sample menus below). Just as youd expect from a traditional Parisian bistro, the ingredients are always fresh and menus are carefully selected to make the most of the seasonal produce available. Your tour loops back to the start point after 2 hours (lunch tour) or 2.5 hours (dinner tour). Taste French cheeses during this Parisian culinary experience led by a Chef. In a typical Parisian apartment, Stephanie will make you discover the authenticity of French terroir by introducing you to the pleasure of cheese around a glass of wine. Understanding French cheese in Paris is the must-do experience. The tasting takes place in the Invalides district close to Tour Eiffel. Enjoy 7 cheeses from different regions of France, carefully selected by our professional Chef, during a 2-hours class. The tasting takes place in the Invalides district close to Tour Eiffel. In a typical Parisian apartment, Stephanie will make you discover the authenticity of French terroir by introducing you to the pleasure of cheese around a glass of wine. These cheese plates are served with an assortment of fresh breads (Walnut bread, raisin bread and the traditional baguette), seasonal salad, fruits and quince paste. Lastly, you will share and enjoy a dessert that you will prepare with the help and guidance of the chef. Taste five French wines paired with five French cheeses during this Parisian culinary experience led by a trained sommelier. Pairings are complemented with bread and small bites. During the 2-hour class, the sommelier guides you through the tasting by explaining each wine, how the cheese is made, the regional differences, and how to pair the cheese with the perfect wine. It is a delicious way to enjoy your time in Paris. Your wine and cheese class takes place at a location around the Montmartre district, where you'll sample some of the finest cheeses while learning about the techniques and language of cheese tasting from a trained sommelier. Discover the secrets of affinage and how the concept of terroir applies to cheese. You'll also learn how to choose wines that complement each cheese type, and sample cheese and wine pairings accompanied by artisan bread and fruit or olives fresh from a Paris market. In all, taste five varieties of cheese and five wines, representing the major families of French cheese and wines, with some regional specialties. With more than 365 cheeses and 450 AOC wines available in France, you could taste a new cheese and wine every day of the year. Understand how to differentiate it all and why the French love cheese and wineand love to share itduring this cultural experience. A trip to France would be incomplete without sampling wines and cheeses! No matter if you're just starting to learn about wines, or you're a master of oenology (the study of wines), you're sure to learn something new during this relaxed and informative wine tasting. Open to all levels, our welcoming wine experts will share with you some of their favorite wines and show you how pairing different cheeses and different wines can create unique and delicious flavors. Delight in the pure flavors of three different wines and two different cheeses, as well as the combinations of flavors that each can create. After this tasting you'll leave with newfound knowledge, a fresh perspective of French oenology, and perhaps a new favorite wine! From the moment you arrive at cave à vin (the wine cellar), you'll know you're in good hands; the boutique is stocked wall-to-wall with selections of reds, whites, and rosés from across all of France. You'll be greeted warmly by the staff and get settled in the prepared wine-tasting area of the boutique. After meeting your wine expert, you'll receive a great overview of the wine regions of France, and with maps and authentic soil samples you'll understand how different grapes and the diverse terrain of the country have led the vast number of varieties of wine produced. Your wine expert will tailor your tasting to the group's wishes, and will propose wines from across France based on your interests. Paired with a hard cheese and a soft cheese from a nearby artisanal cheese shop, you'll discover the incredible flavors that can be created simply by combining different wines with each. Water and bread will be also available as a palette-cleanser. You'll be able to ask questions and learn from some of the most passionate oenologists in Paris, who are happy to share their love of wine with you. A treat for the senses and the mind, you'll finish up your tasting feeling more confident in understanding the differences in wines, thanks to what you've learned and the varieties of wine that you've enjoyed. A spittoon will be provided for those that wish to use it. Note that, as the tasting does not take place in a restaurant, the boutique's toilets may not be readily available and/or easily accessible. Learn to make your own macarons in two and a half hours with a French Chef in this small-group class. A must-do in Paris. In two and a half hours you'll learn how to make your macarons a rousing success with this Italian-based meringue method, which is more technical, but yields better results. Enjoy your freshly made creations on the spot. Or, if you can restrain yourself from devouring them immediately, take them with you to prolong the pleasure. This course, taught in English by a French Chef, can accommodate a maximum of 6 participants, which allows personal attention in a convivial, warm atmosphere. Master the art of making one of Frances most delicate pastries on this 3-hour macaron-making class in Paris. With step-by-step guidance from a helpful instructor, choose from a range of vibrant colors and create your elegant meringue shells. Whisk up the soft buttercream filling then carefully pipe it in. Relax as your macarons slowly bake in the oven, then taste them with a cup of tea or coffee. Enjoy personal attention from the instructor on this small-group tour, limited to eight people. Upgrade your booking for an advanced macarons class. Head to your cookery school in central Paris the afternoon, then meet your macaron-making instructor over a refreshing drink before beginning your class. During your hands-on class, listen to step-by-step guidance from your instructor and master the delicate art of macaron making. Learn how to make the meringue shells in the colors of your choosing and master the art of piping in the buttercream filling. When your macarons are ready, sample your creations with a cup of tea of coffee and listen as your host talks of the macarons place in French culture and tradition. After three hours of baking and tasting, take your box of macarons and head outside to conclude your class. A bit of glamour, a dose of history, a dash of quirk, and a lot of foodthis total Paris tour is packed with everything you could ever need to see, do, and taste in order to be an honorary Parisian for the day. 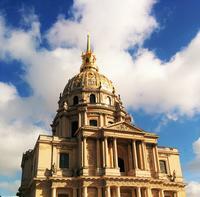 Start in the Paris fashion district, and walk with an insider guide to admire the Louvre and enjoy a macaroon tasting. See Centre Pompidou, sample some brandy, enjoy cheese and pastries, and walk through the Marais. This tour is limited to 12 people to provide a small-group experience. Get to know the City of Light through the eyes of a local on your full-day tour, which starts in the heart of one of Paris most expensive and fashionable neighborhoods, where luxury, elegance, and beauty are around every corner. With your guide, stop by an illustrious food store to sample a delicate macaron, a beloved French specialty. Then walk toward the Musée du Louvre, home to some of the worlds most celebrated art, such as the Mona Lisa and Venus de Milo. You won't go in (it can take hoursno, daysto properly explore this treasure trove of art), but you'll wander through an arcade that offers a free glimpse into the sculpture gallery. Relax in the well-manicured gardens, and enjoy some of the best sightseeing Paris has to offer. Next up is more food. Head to a lively Parisian market to indulge in one of Frances most popular gastronomic pleasures, cheese. Perhaps taste some smooth, mild Brie, or sample a slice of pungent Roquefort, known as the King of Cheeses. Then stroll through Paris secret arcades to discover quirky shops, boutiques, and one of the oldest buildings in the city. After an hour, meet up with your group and guide outside the Notre-Dame Cathedral. Then, head off to explore the medieval neighbourhood of Le Marais, where highlights include beautifully preserved Gothic churches and streets, the remains of Paris 12th-century defence walls or breathtaking tucked away mansions. Le Marais is full of sweet shops, pâtisseries, boutiques and cafés, so be sure to quiz your guide on their recommendations so you can come back in your own time. We'll have a peek in three different pastry stores to taste iconic French sweets & pastries! Finally, stop at a lovely wine bar to get a personalised wine tasting. Sip a range of French wines and try some delicious liqueurs, including Armagnac or "Old Plum", accompanied by a variety of French cheese or charcuterie, like ham or rillettes. After an action-packed day in Paris and a peak by Paris most beautiful square, Place des Vosges, bid your guide farewell and end your tour at Bastille in the heart of vibrant Paris. Chocolate walking tour of some of the best chocolatiers of Paris.This unique chocolate food tour explores the picturesque area of Saint Germain, a place well known for its world class chocolatiers. The French favourite is the chocolate éclair which you will get to sample for yourself during the tour. You will also enjoy beautifully made macaroons, mouth watering chocolate and a range of other chocolate treats like you've never tasted before. A must-do for all chocolate lovers! This unique chocolate food tour explores the picturesque area of Saint Germain, a place well-known for its world class chocolatiers. In 2015, French people ate 405 000 tons of chocolate. So they take this subject seriously as Marie-Antoinette used to ! For Christmas, Valentine's Day, Easter or Mother's Day, they rush to « chocolatiers » to spoil themselves or their beloved ones. Explore some of the the worlds best Chocolatiers, right here in Romantic Paris. Your taste buds will scream with ecstasy as you treat them to a good time! This is the perfect opportunity to indulge in French delights and to get to talk with the locals! Since the tour is limited to a maximum of 8 people, your English-speaking guide (who is a food lover and chocolate connoisseur) will be able to answer all your questions. Belong to the happy few, indulging themselves with brown gold gems ! Bring home the tastiest of souvenirs with this 3-hour tour. You will learn the technique for making delicious buttery croissants. Which is something that not many people have ever mastered. Croissants were once made from plain old ordinary bread dough; nowadays, they are made from pâte feuilletée levée (layered yeast-leavened dough). It is surely one of the most technical dough in French pâtisserie. After 3 hours spent with our chef, you will have acquired the know-how to make croissants that are light, crispy on the outside and melt-in-your-mouth soft on the inside. You will learn and perform each step in making classic butter croissants and croissants with almonds, but you will also learn how to make pain au chocolat (chocolate-filled croissants), pain aux raisins (raisin croissants) with pastry cream, and other variations of the croissant that are as delicious as they are unexpected. Make the Detrempe: mixture of flour, water, salt, butter, yeast, used in the preparation of croissant. Make the Beurrage: to add butter to the dough that is called pâton. Pâton : the block of croissant dough after the butter has been folded into the detrempe to form an envelope. 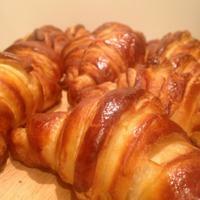 Make the turns: to give turns to the croissant dough (pâton) by rolling the dough and folding it. Feuilleter (to make into leaves): enclosing the butter in a layer of dough and folding and rolling the dough to form thin layers or leaves. Abaisser ( to roll out): to roll out a sheet of pastry dough to the desire thickness with a rolling pin, before cutting and shaping it. Follow la pousse (the fermentation and the rising) : the expansion of the fermented dough caused by the yeast during the rising. Enjoy a 2.5 hours course to discover all the meticulous details that go into making choux pastry. Offering a world of dazzling taste sensations that you will be able to prepare after this course, such as eclairs, profiteroles, Saint-Honoré, Paris-Brest, chouquettes (sugar-topped cream puffs), and Chantilly cream filled puffs, or even savory choux filled with cream cheese, chive, salmon, and more. The word comes from French eclair, meaning "flash of lightning", so named because it is eaten quickly (in a flash). In this 2.5 hour course, you will learn how to work with a pastry bag and create garnishes and fillings like classic vanilla, pistachio, coffee or chocolate flavored pastry cream crème pâtissière. You will also learn how to glaze your eclairs with fondant icing. And as choux dough offers a very broad palette of specialties you will also do some chouquettes and some individual petits choux garnis. With the help of your chef, you will perform all the steps. At the end of the course, if you haven't enjoyed your creations on the spot, you may take them with you. Drying Batter: Working the mixture over the stove. Coucher (Piping): Placement of the batter on the pan and use of a pastry bag. The course is taught in English by a French chef accommodate a maximum of 6 participants, which allows each student personal attention in a friendly, warm atmosphere. The kitchen is equipped with all the necessary materials so that each participant can work under the best conditions, without having to wait in line or take turns. Choose the class time to suit your schedule, then head to the cookery school in central Paris to begin your croissant class. The humble croissant is a pastry popular across the whole country, but learning how to bake a perfect batch every time requires practise and a little inside knowledge. Follow step-by-step instructions and learn how to make fluffy croissant dough from beginning to end. With hands-on guidance from your instructor, master the art of the fold and discover how to get great results every time. Then, pop your croissants in the oven and watch them slowly rise. During your class youll also make pain au chocolat  a sweet pastry roll with chocolate filling. After roughly two hours, when the baking is done, take your fresh pastries out of the oven and enjoy them with a cup of tea, coffee or juice. When you're finished, bid your instructor goodbye and receive a box of your creations to share with friends and family along with an electronic copy of the recipes in English. Treat yourself to a two hour introduction to the world of fine dark chocolate bars. You will learn not only on the chocolate history, but also how to recognize, appreciate and enjoy a fine dark chocolate bar. Did you know that the chocolates made in France are amongst the finest in the world, if not the best? France is well known for its wines and cheese, but this is a half hidden secret that many people miss out on. Don't be one of those people! Through a carefully made selection of France's finest chocolate bars you'll personally taste the differences in them and you will learn to tell them apart, as well as to appreciate them in all their subtleties and nuances.